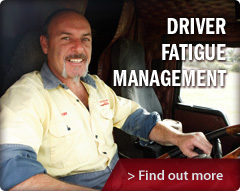 Karoonda Freight Service is one of the Murray lands most respected freight service providers. Our fleet of vehicles and professional staff are devoted to deliver your freight safely, on time and within budget. Our aim is to make your business more streamlined, reliable and cost efficient through our progressive management systems and open communication. Karoonda Freight Service has done a good job for us always. Communication is very important in our industry and they do a good job with that. They have good, friendly, qualified staff!